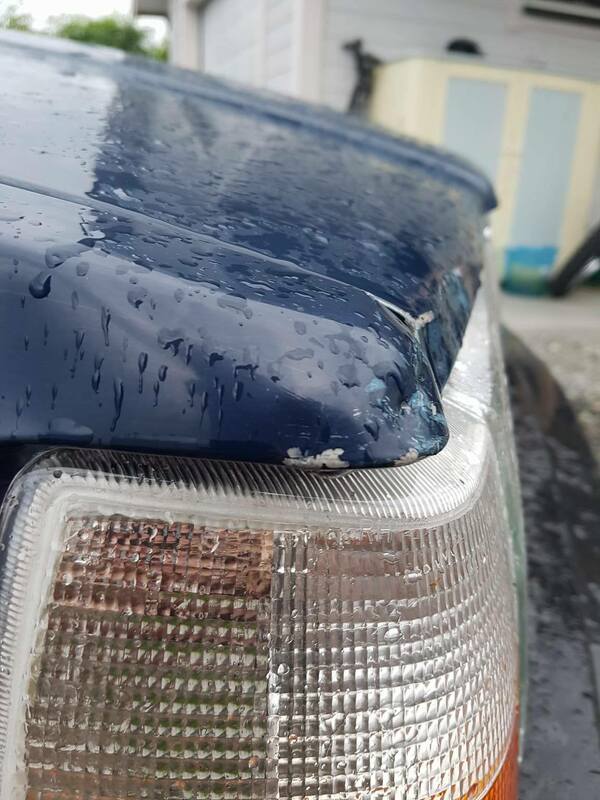 Hey, I've got some damage on the exterior of my volvo 940 GL from 1994. The car has lightly bumped into another car at one point in time. Not alot of damage, but up close it is noticeable. 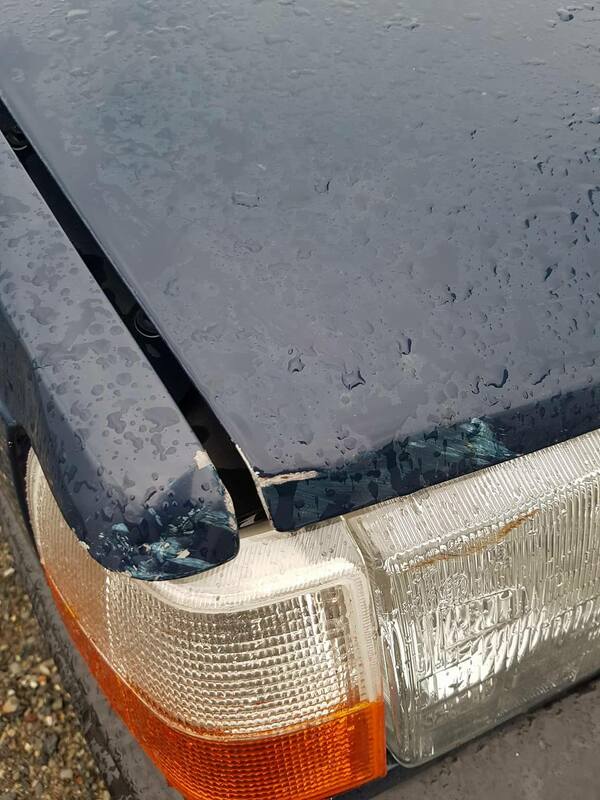 Are there any ways to fix this without having to replace the entire hood and panel, and without having to spend a ton of money?